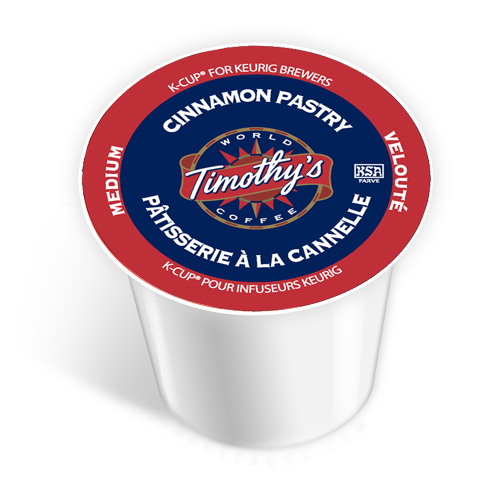 Timothy’s Cinnamon Pastry flavoured coffee is a treat for the nose and taste buds. With a smell as inviting as a bakery in the morning, this desert coffee is a welcome addition to any routine. The taste of cinnamon is definitely present, but thankfully not overwhelming – a nicely balanced coffee with a hearty medium-roast body, pleasant flavour, and seductive aroma. I love treating myself on weekend mornings to this brew, a cinnamon bun, and the local newspaper - a welcome addition to the weekend ritual!